Business owners and owners of commercial property are typically concerned about asset protection, but you don’t have to own special property to want to protect your assets. We all have creditors of some type. There may also be potential legal claims in the future you may have to defend against. 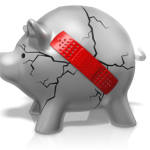 If you don’t want to run the risk of losing everything you own as a result of an unexpected situation, you need asset protection. Irrevocable trusts are one way to accomplish that. Constructing an asset protection plan requires a careful analysis of your assets and reorganization of those assets so that you can provide maximum protection against risk or loss. A common misunderstanding that clients have is that asset protection involves some type of fraud or “hiding” of property. This is certainly not the case. 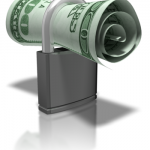 When done appropriately and within the requirements of the law, asset protection is completely legal. You can be prepared for nearly any unforeseen situation that would otherwise put your property at risk. You can do this without engaging in any type of fraud or tax evasion. 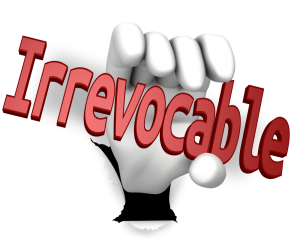 The term “irrevocable” means that the terms of the trust cannot be changed or revoked once it has been created. Protection from creditors can be achieved with various types of trusts, but the most effective type of trust for asset protection is generally an irrevocable trust. When you transfer your property to a trust of any kind, that property now belongs to the trust. Since the trust cannot be revoked or modified, the assets are no longer considered your property. As a result, the property in the trust becomes unavailable to your creditors and out of reach of any legal judgments. In order to guarantee that your property will truly be protected, there are specific terms you need to include in your trust agreement. For instance, any interests that you leave to your beneficiaries must either be dependent on a future occurrence or subject to the trustee’s sole discretion. 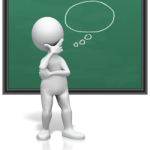 An optional but very useful provision is known as a “spendthrift” provision. A spendthrift trust is created for the benefit of someone who is essentially unable to manage their finances or control their spending. Spendthrift provisions give an independent trustee full authority to make decisions as to how the trust funds may be spent for the benefit of the beneficiary. It may seem like common sense, but it is important to recognize that, in order for the property to remain protected, it must remain in the trust. That means, simply transferring your property to a trust does not achieve asset protection. 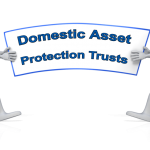 If you ever remove the property from the trust it will no longer fall under the trust’s protection. Once it has been removed, the property will become subject to creditor’s claims once again. Revocable living trusts become effective during your lifetime and give you complete control to manage the trust and the trust property. A revocable trust is the reverse of an irrevocable trust, in that it can be changed or revoked at any time while you are still alive. Upon your death, the trust property is transferred to your named beneficiaries. A revocable trust generally does not provide asset protection because you are still considered the owner of the property in the trust. With a revocable living trust, you are named as the trustee so you will still maintain control over the trust assets while you are still alive. Since the property is basically yours, it will still be subject to the claims of your creditors. Also, all of the income generated by your trust property belongs to you. 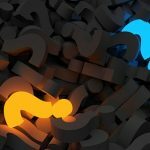 These characteristics mean that a revocable trust is usually not the right choice for protecting assets. Join us for a free workshop! If you have questions regarding irrevocable trusts, or any other estate planning matters, contact Gaughan & Connealy for a consultation either online or by calling us at (816) 972-3030.